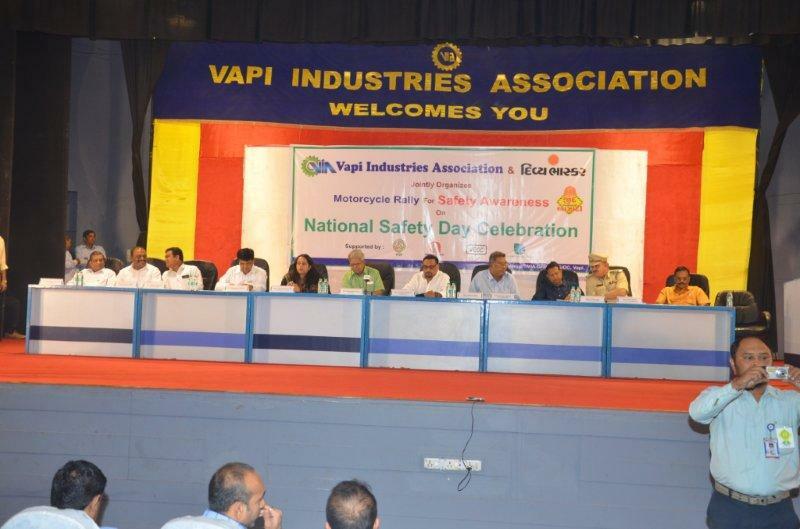 Vapi Industrial Estate has experienced rapid industrialization and increase in population and due to it we have got more exposed to accidents and unwanted incidents. 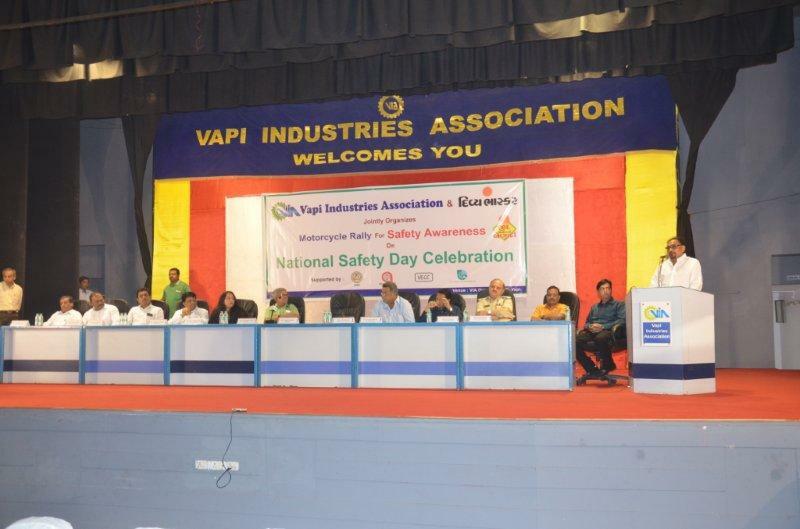 Vapi Industries Association has always taken proactive steps with the help of Department of Industrial Safety & Health and various organizations & NGOs to prevent ourselves from such unwanted situation and to create awareness amongst the Industries Members on various aspects like Industrial Safety, Domestic Safety, Road Safety, Environment Safety etc. 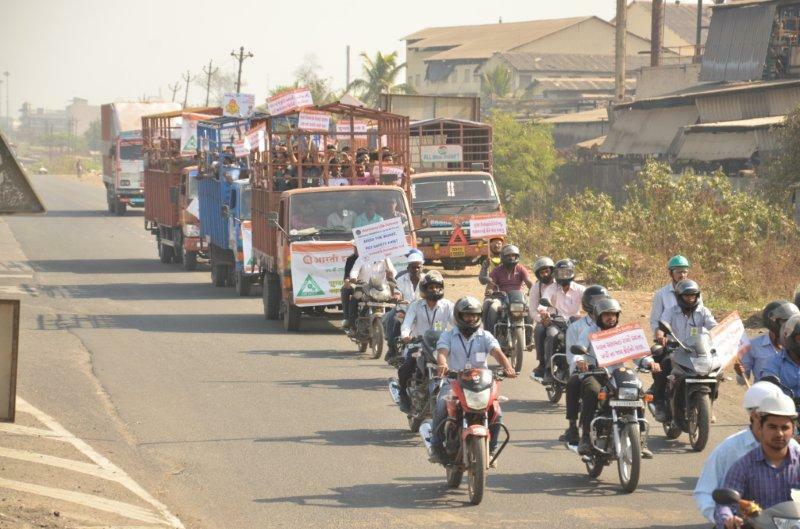 to encourage them in generating sustainable growth. 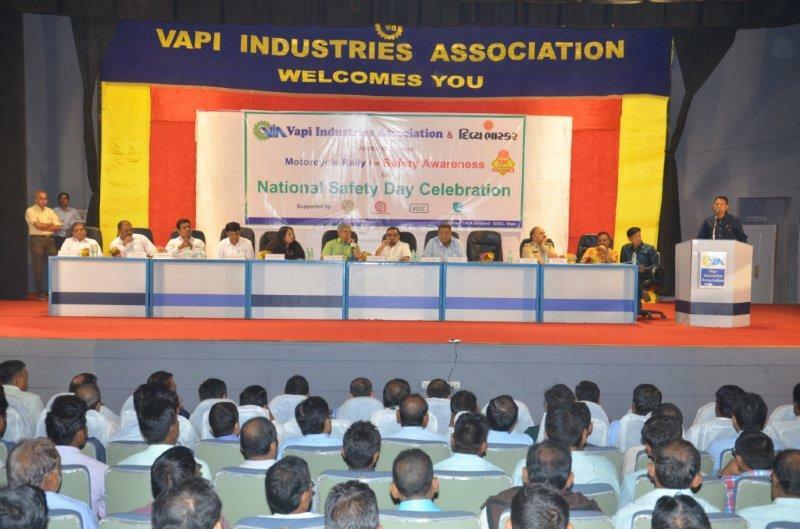 VIA is also organizing Post Graduate Diploma Course on Industrial Safety at VECC since last 20 years and trained over 345 students in 10 batches. 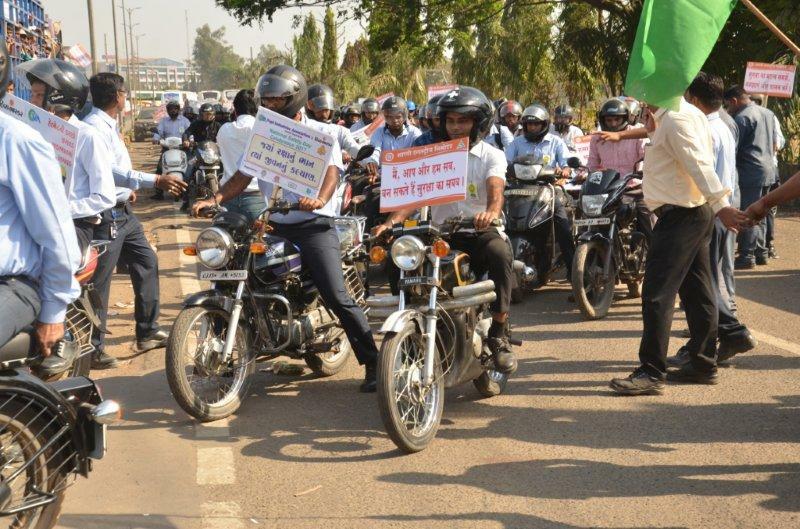 On this National Safety Day a Motorcycle Rally has been organized to create awareness amongst the Industries Members and the Residents of the Estate about the need of safety and various ways and methods of safety to prevent accidents and unwanted incidents. 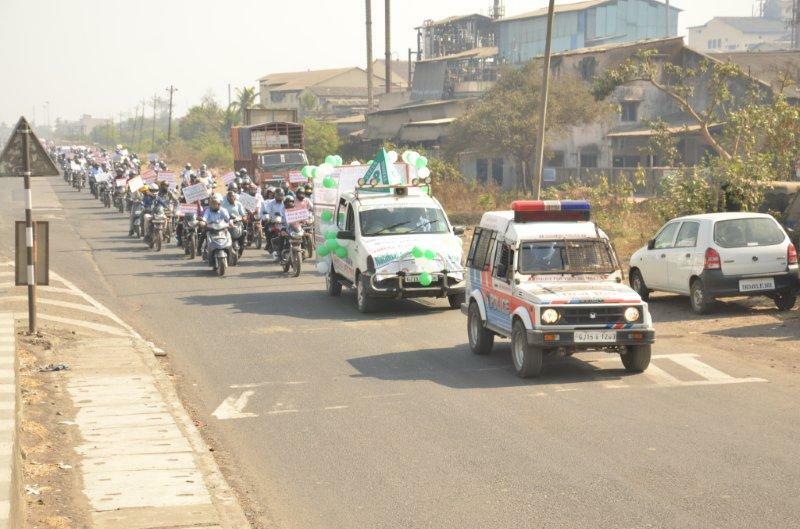 The Inauguration Function of the Motorcycle Rally and Safety Week Celebration was held in presence of Shri Kanubhai Desai, MLA, Pardi, Smt. 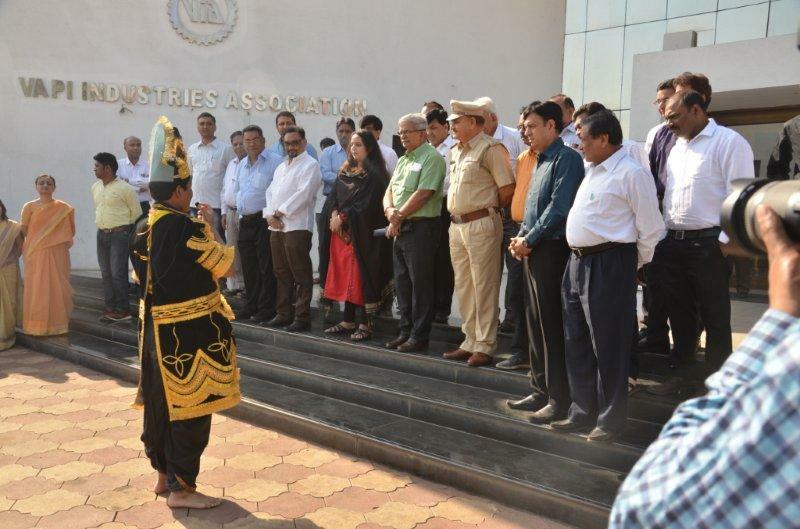 Remya Mohan IAS, Collector, Valsad, Shri H M Kundalia, Dy. Superintendent of Police, Vapi, Shri D K Vasava, Dy. 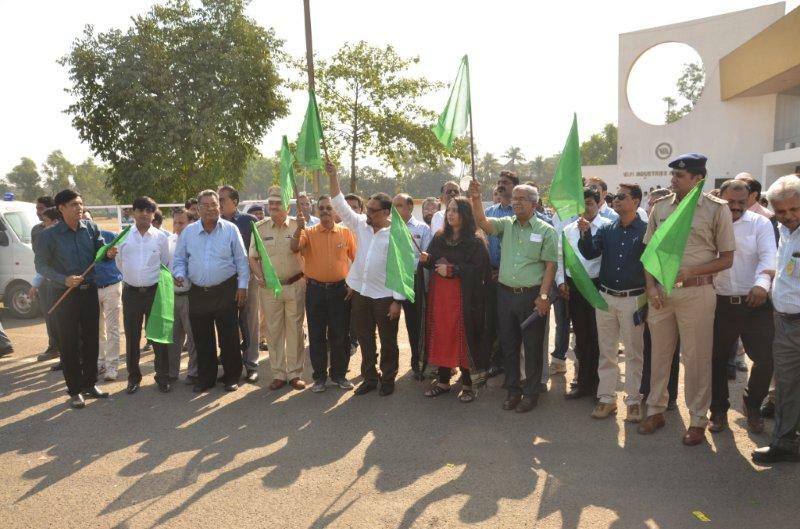 Director, DISH, Valsad, Shri Jignesh Solanki, Editor, Divyabhaskar, Vapi, Shri Anthony Baria, Unit – Head, Divyabhaskar, Vapi, Shri Kiritbhai Mehta, Director, Aarti Industries Ltd., Col (Retd) Ravinder Jain, CEO, VGEL, Shri Yogesh Kabaria, President, VIA, Shri Hitendra Thakkar, Vice President, VIA, Shri Parthiv Mehta, Hon. Secretary, VIA, Shri Lalit Arora, Treasurer, VIA, Shri Magan Savalia, Jt. Secretary, VIA. 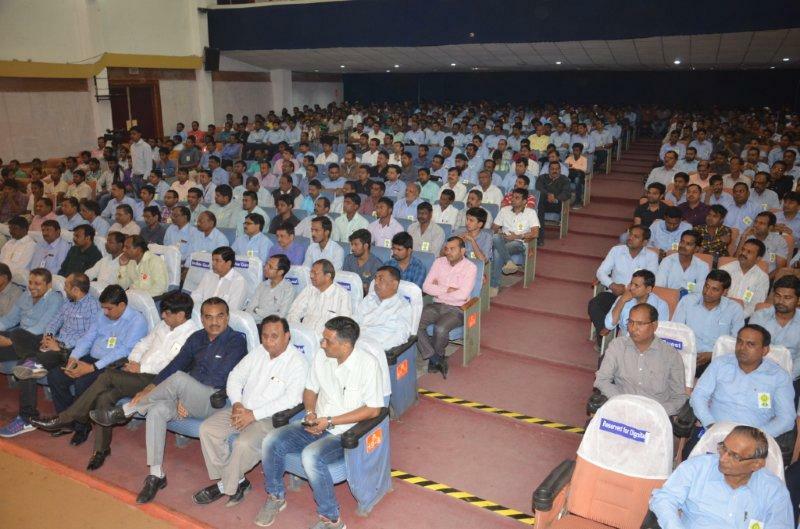 The event was well attended by over 800 participants from Executive Committee Members & Members of VIA, School & College Students, Press & Media Members and Officers of various Govt. Departments. 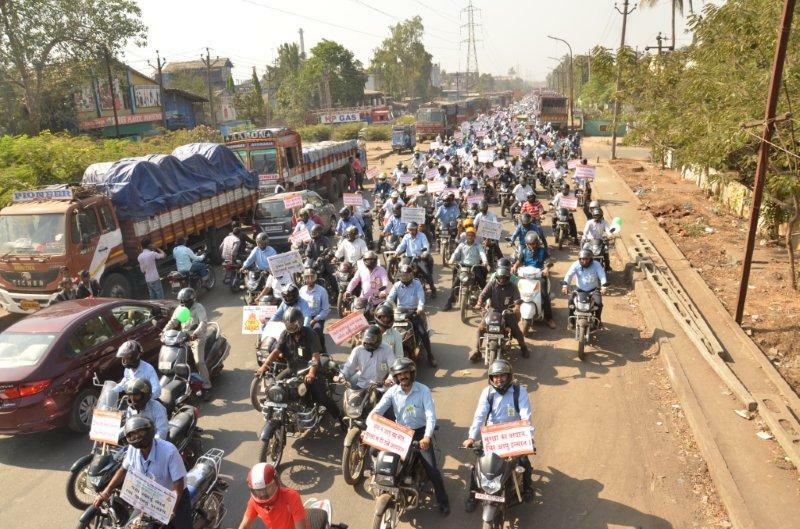 Over 500 employees from Industries also took part in the Motorcycle Rally and made the event a great success.